Capacity: 400 lb / 181 kg. The 2000KL Digital In-Bed/Stretcher Scale is the ideal choice for dialysis, intensive care unit, and emergency room care. With EMR connectivity, this scale has the ability to interface with a computer, monitor, printer or other electronic devices via USB. 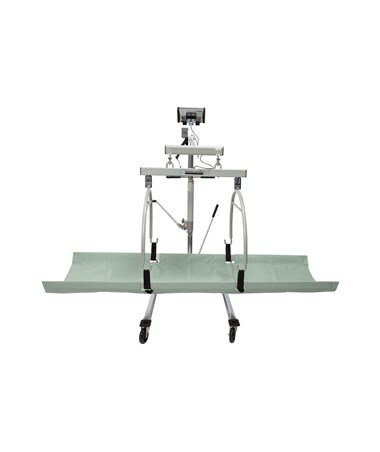 Constructed with hospital grade materials, the scale can hold up to 400lb and has 4 built-in wheels for easy mobility. 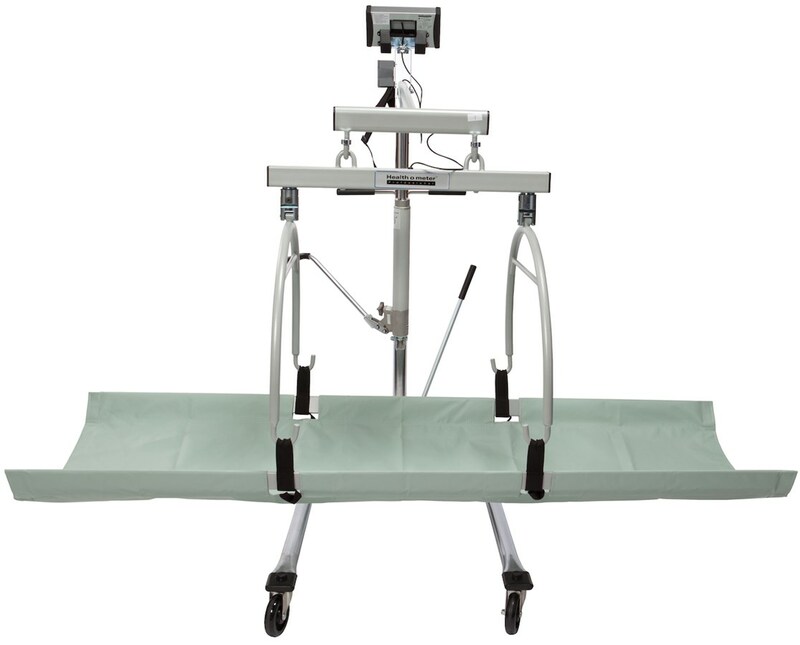 The 2000KL model features handles that may be used while weighing, providing security and comfort for your patients. It is equipped with Motion Sensing Weighing Technology to ensure that any movements will not affect an accurate reading. The 3/4" swivel LCD display is clear and is adjustable for easy viewing. Some of the functions included with this scale are LB / KG Conversion, LB / KG lock out, Body Mass Index (BMI), Zero Out / Tare, Hold / Release, Reweigh, Auto Zero, Auto Off. The scale is powered with 120V adaptor (included) or alternatively, you may use 6 D-cell batteries (not included) . For all those in the healthcare community who are searching for a dependable and accurate In-Bed/Stretcher scale, this is your ideal choice. Health-o-meter is rapidly moving to the top in the medical scale industry, and you are guaranteed to have many years of reliable service with this scale.